How to transform Istanbul into a bad copy of Dubai? Historically, and to some degree intentionally, urban expansion of Istanbul has mainly been confined to the East-West axis along the Southern coast. 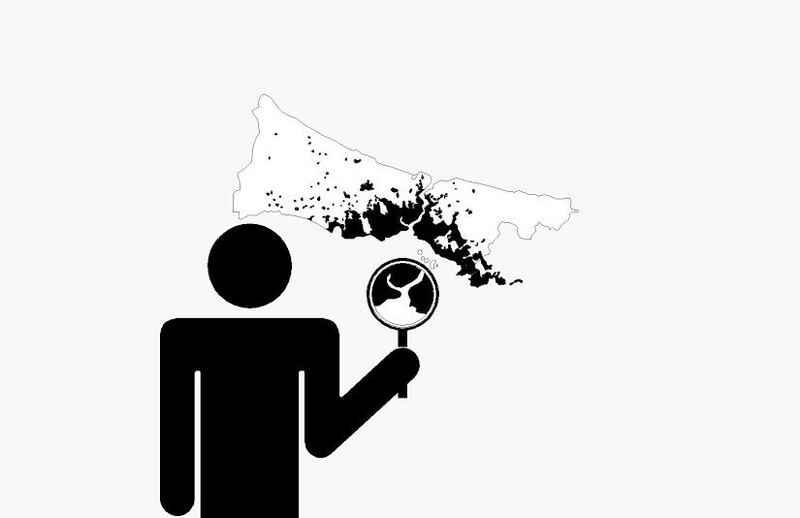 That makes sense from an urban ecological point of view, as the North mostly consists of natural reserve areas of the city, such as water catchment areas and forests, and agricultural fertile land. Yet the city population has been growing exponentially since 1950s with internal migration, from a million to almost 15 million, and the construction of new bridges and highways pulled the urban development towards the Northern areas, especially along this new transportation network and the beautiful Bosphorus. Despite this expansion, the North had survived, mostly, from a full fledged urbanisation. 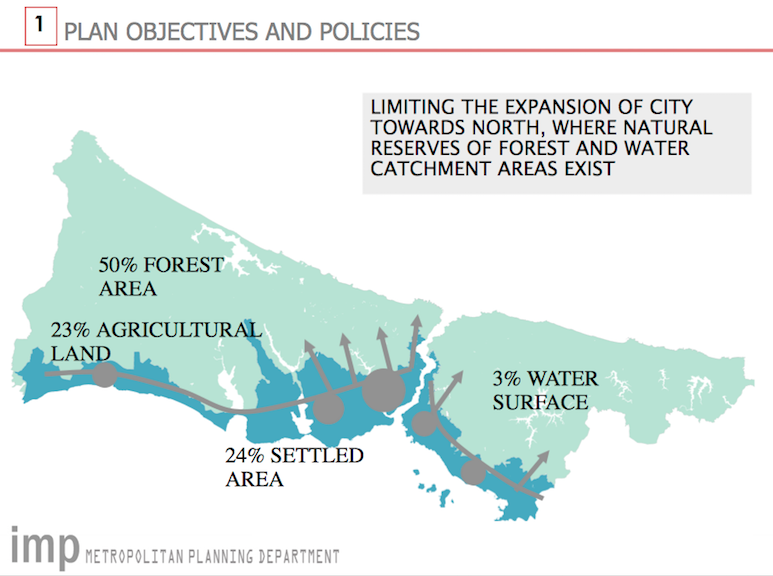 Hence, the main objective of the Master Plan of Istanbul, which was approved only in 2009 by the current Mayor from the ruling party, was to limit the expansion of the city towards North. Since 2011 election, Erdogan targets these ecological reserve areas on the North with his mega (mad) projects such as the Third Bridge, new Northern Highway, Third Airport, Canal Istanbul and the New City Istanbul, and the developers, happily and enthusiastically, join his ‘grande’ vision and seek further urban land to develop with their speculative real estate projects. You will find two videos below, the first one shows an urban strategy developed by Atelier Istanbul for the North, taking into consideration the above mentioned framework and its contradictions. 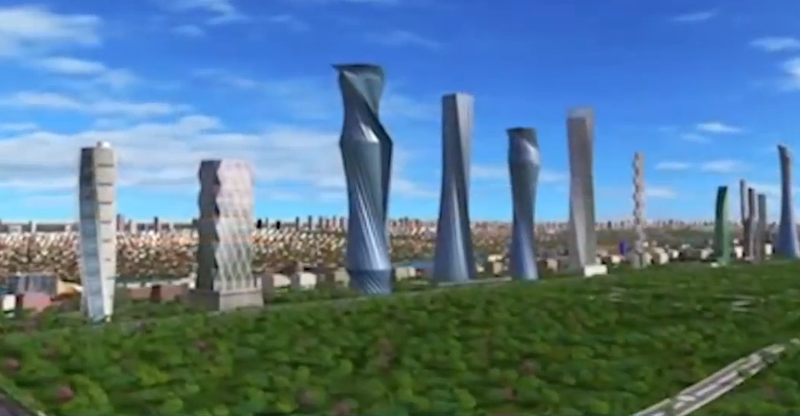 The second one is the promotional video of the Kanal Istanbul Project (unfortunately in Turkish), promising to construct a parallel Bosphorus for large ships, a city for 7.5 million people, World’s largest airport and lots of cloned landmarks and buildings from around the world, by bypassing the Master Plan and its major objectives! Watch and judge the competing visions of Istanbul’s expansion towards the North yourself!